In the recent series on using Angular 2 and .NET Core to check the weather we used the ASP.NET Core Template Pack to save time manually installing/configuring Webpack, Node, Angular etc. That works well if you want to create your new projects using the new project wizard in Visual Studio 2015. But what if you’re using using Visual Studio 2017? As you’ve got Visual Studio 2017 installed you already have a suitably recent version of the .NET Core SDK installed to make this work. You’ll need to check you have NodeJS version 6 or later. Open up a command prompt and type the following. 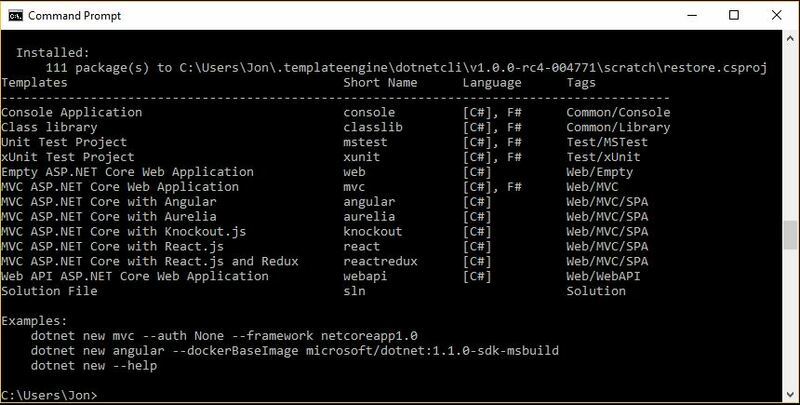 Wait for that to install and you’ll find you have new options for the dotnet new command. 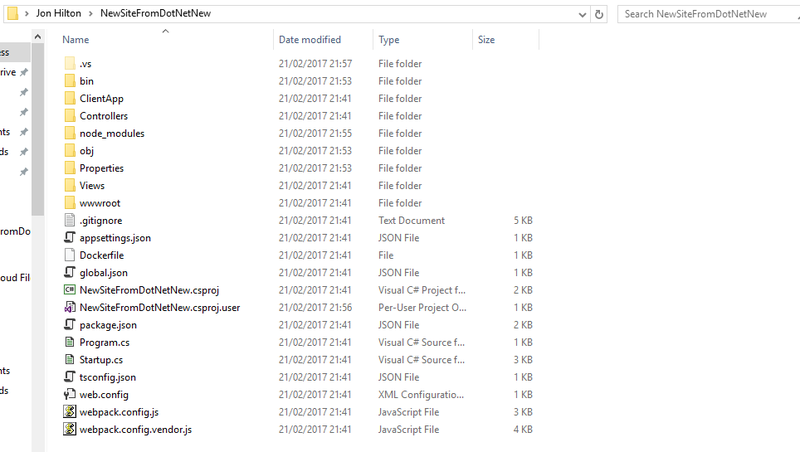 Once it’s finished, take a look at the folder and you’ll see something like this. Double click the *.csproj file and the application will open up in Visual Studio 2017. The first time you open the project in Visual Studio, all of the application’s dependencies will be installed. When it’s finished, hit CTRL-F5 and you should be looking at your new Angular 2 app in the browser. From here, you can continue with the rest of the series.